Breadfruit trees grow to a height of 25 m (82 ft). The large, dark green and thick leaves are deeply cut into pinnate lobes. All parts of the tree yield latex, a milky juice. Breadfruit is one of the highest-yielding food plants, with a single tree producing up to 200 or more grapefruit-sized fruits per season. It requires very limited care. The trees can yield 50 to 150 fruits per year. The trees were first propagated far outside their native range by Polynesian voyagers who transported root cuttings and air-layered plants over long ocean distances. Breadfruit are very rich in starch, which transforms to sugars when very ripe. Before being eaten, the fruits are roasted, baked, fried or boiled. When cooked, the taste of moderately ripe breadfruit is described as potato-like, or similar to freshly baked bread. Breadfruit can be eaten once cooked, or can be further processed into a variety of other foods. A common product is a mixture of cooked or fermented breadfruit mash mixed with coconut milk and baked in banana leaves. Whole fruits can be cooked in an open fire, then cored and filled with other foods, such as coconut milk, sugar and butter, cooked meats, or other fruits. 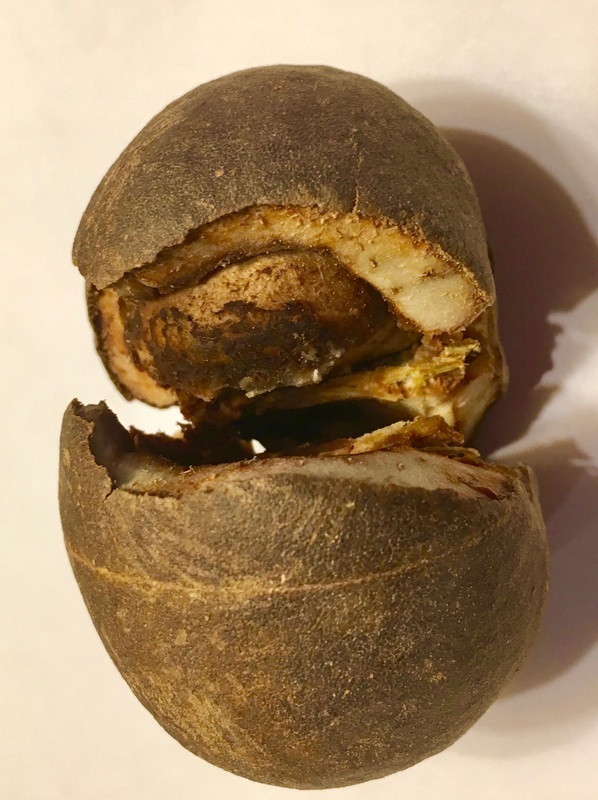 The filled fruit can be cooked further so the flavor of the filling permeates the flesh of the breadfruit. The Hawaiian staple food called poi, made of mashed taro root, is easily substituted for, or augmented with, mashed breadfruit. The resulting "breadfruit poi" is called poi ʻulu. Hawaii’s official state tree, the Kukui, is quite common in our area. With its broad light-green leaves, small white flower clusters and copious fruits they were once an important source of fuel, medicines, dyes and ornaments many years ago. The hard brown fruits each contain two very hard nuts that are difficult to break open. In ancient times they would be crushed for the flammable oils they hold. Dyes for tattoos and many other uses were made from the nuts and they are still popular today to make colorful polished lei. Hawaii native, Christine Ann Snyder, 32, was a Project Manager and certified Arborist for The Outdoor Circle, Hawaii's oldest nonprofit environmental group. According to her family, the beautification of Hawaii was her profession, pride, and joy. During her six years with The Outdoor Circle, Chris supervised volunteers in planting trees and worked to protect trees and landscapes from development. She held a degree in political science from the University of Hawaii. On September 11 she was returning from the National Urban Forestry Conference in Washington, D.C. and an impromptu, first-time visit to New York City. A connecting flight in San Francisco would have taken Snyder home to Kailua, Hawaii and her husband of just three months. Christine Anne Snyder was an arborist for Outdoor Circle in Kailua,Hawaii. She was one of the victims onboard Flight 93. She was aged 32. With her long blonde hair and a deep beach tan honed from a lifetime in Hawaii, Christine was often underestimated by the people she came up against in her job as an arborist with the islands' oldest nonprofit environmental group. But time and again during her 6 1/2 years with The Outdoor Circle, Snyder would convince developers, builders and state officials of the need to preserve and replant native trees across the Hawaiian islands. As project manager for landscape and planting, "she had a very strong opinion and very good ideas," said Mary Steiner, chief executive officer of The Outdoor Circle. "She was vibrant and caring, and forceful in seeing things through. "There is a lot of red tape and a lot of coordination that was required. I think she really knew her stuff." A native Hawaiian, Christine, 32, lived a half hour's drive east of Honolulu in Kailua in a three-bedroom townhouse with her husband, Ian Pescaia, their cat, Horace, and pointer-red nose pit bull named Zeus. The townhouse was Snyder's pride and joy, decorated with Hawaiian prints bursting with pastel renderings of women garlanded with flowers. Christine was enamoured with The Outdoor Circle. 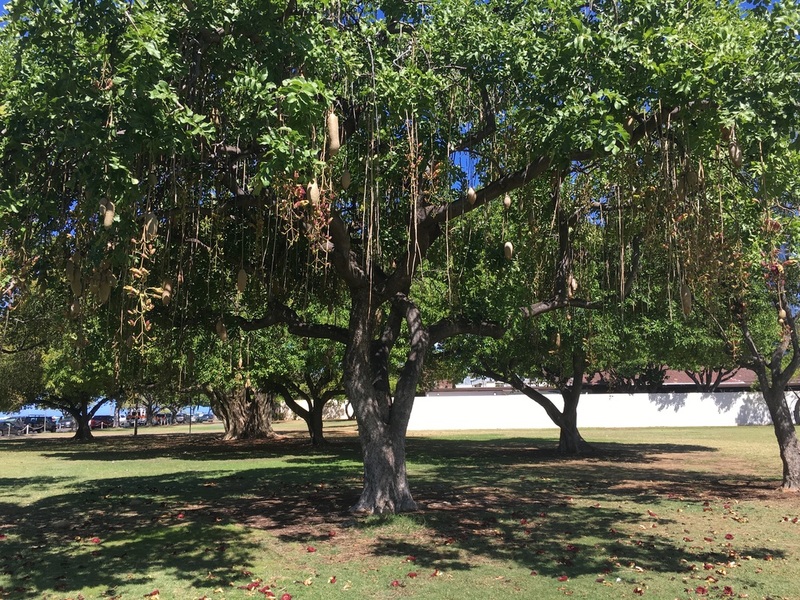 The three-person staff was supplemented by 11 branches across the state, and Christine's job required her to manage scattered groups of volunteers.In Waikiki, she argued for developers to save several large old banyan trees at a building site. In the end, after a protracted struggle with the developer, Christine prevailed. At her memorial service, the same developers sent flowers. 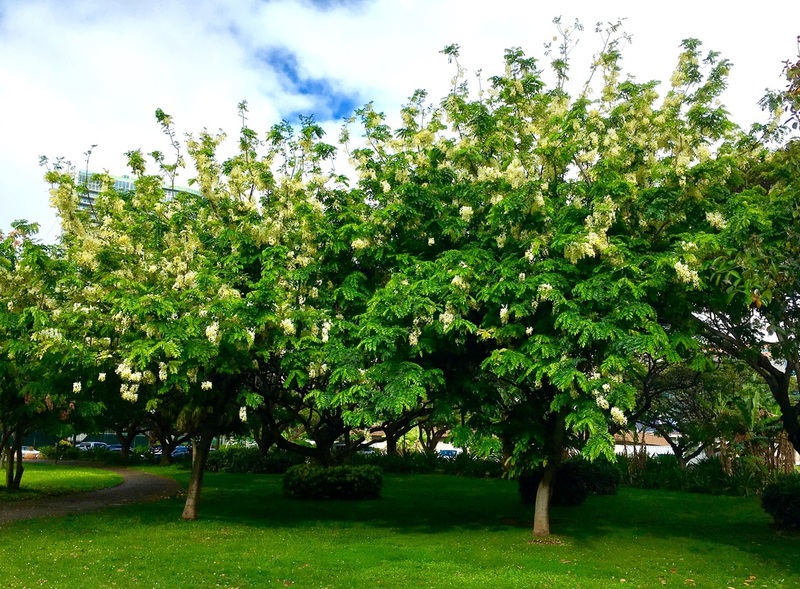 One of the most common and pretty flowering trees in Greater Waikiki, several varieties of Cassia provide a wide range of colors - orange, red, pink and white. Many have been planted along Kuhio Avenue and are now reaching shade-producing heights. The City prefers Shower trees for streets as they make less mess than Monkeypods and the roots don’t disrupt the sidewalks as much. Depending on the season, these trees often flower twice a year, in early and then late summer. Watch for varieties that produce numerous exotic long brown shiny bean pods that hang down after the floral displays have ended. When mature, Shower trees cannot match, however, the huge grandeur of our Heritage Monkeypods that produce much greater shade canopies. A native from Africa, the Sausage Tree is one our most fascinating imported species. The specimen in the photo above was at its best at the end of May in Ala Moana Park. The large dark red orchid-like flowers hang down in groups on stout stalks and then drop off all around the base of the tree. The mystery is the nature of the huge solid fruits that resemble giant sausages. They may weigh well over ten pounds and are extremely hard. It is dangerous to sit or lie under a fruiting sausage tree as falling fruits could crack your skull open. Cutting a fruit in half with a knife is not at all easy but apparently elephants have no trouble savoring them to eat in Africa. And it is easy to recognize this tree when the fruits are so easy to see from a distance. We have good Kigelia trees to see here in Ala Moana Park and also Fort DeRussy. The Outdoor Circle does not get involved with tree complaints with neighbor versus neighbor and/or tenants versus condo associations boards. Honolulu's Division of Urban Forestry provides a wide variety of important tree services. If you have any concerns or complaints involving trees, take a look at their Contact List. To have The Outdoor Circle State office review a complaint/issue, you can click here to submit electronically. In 1975, the Hawai`i Legislature passed the Exceptional Tree Act (Act 105) to protect designated trees -- both public and private -- from improper trimming and unnecessary removal. ​What is an Exceptional Tree? An exceptional tree is “a tree, stand or grove of trees with historic or cultural value, or that by reason of age, rarity, location, size, aesthetic quality or endemic status, is designated by a county arborist advisory committee as worthy of preservation”. 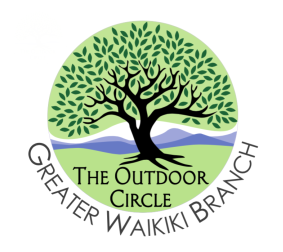 In 1975, the Hawai`i Legislature passed the Exceptional Tree Act (Act 105) after considerable advocacy and public education by community groups including the Mokihana Club of Kaua‘i and The Outdoor Circle. This law protects designated trees -- both public and private -- from improper trimming and unnecessary removal. The law also encourages private property owners to properly maintain designated trees by offering a tax credit to offset the costs associated with maintaining Exceptional Trees. Where are Hawai`i's Exceptional Trees? There are hundreds of Exceptional Trees found throughout the Hawaiian Islands. On Oahu alone, there are over 900 trees with more than 200 located within the Greater Waikiki area. The Outdoor Circle is developing this database of currently recognized and nominated Exceptional Trees. Peruse our online listing of all Exceptional Trees. This is the only list of all Exceptional Trees in the State of Hawai`i. Search it by tree type, tax map key, GPS coordinates, and more. Visit our online Exceptional Tree Gallery to see photos of some of our Exceptional Trees. ​ Most of Greater Waikiki’s magnificent trees are not protected Exceptional Trees, however. We call them Heritage Trees to honor their historic legacy. 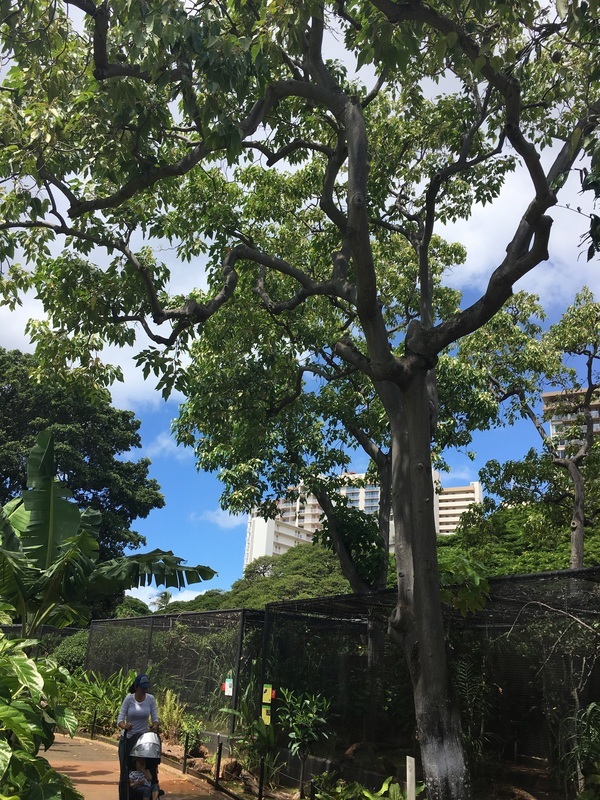 There are several hundred heritage trees in Greater Waikiki. Many are over 75 years old. Where to see our Glorious Trees in Waikiki? As the climate of Waikiki gets noticeably warmer, many more trees will need to be planted to offset the well-defined “Urban Heat Effect” that spikes in the midday sun caused by street and building surfaces that get little shade. We will be working with organizations and officials to promote an entirely new tree planting initiative. This Waikiki Tree Canopy Map shows trees in green and buildings in red. We need a LOT more trees to counter the urban heat effect from sunlight on all the road and building surfaces. To look at more maps from HoLIS, please click here.